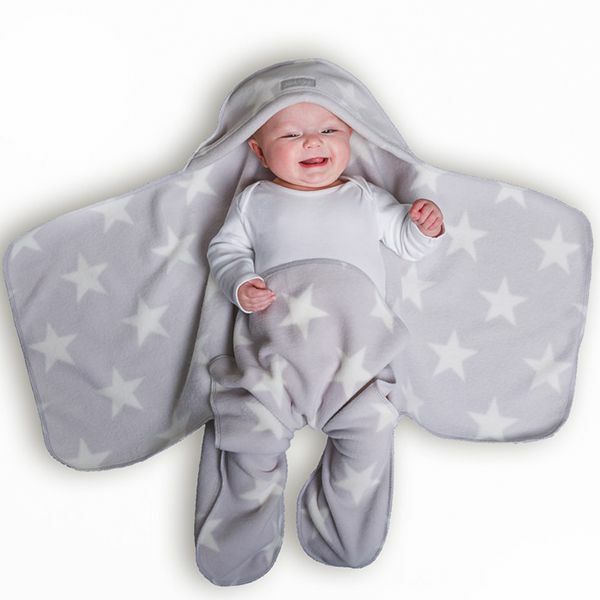 Grey Star Nod Pod Baby Blanket with Legs. The perfect unisex blanket, it makes a great baby shower gift or newborn baby gift. This beautiful grey star blanket is perfect for parents who like understated neutal colours. Grey tones are very on trend in nursery furniture and fabrics so this complements the colour scheme brilliantly. The Nod Pod baby blanket is ideal for using as a baby car seat blanket and also in prams, buggies and slings.